Breathtaking sunrises and moon rises and unparalleled sea, beach, bay and island views. Beach is across the road about 300 feet away. 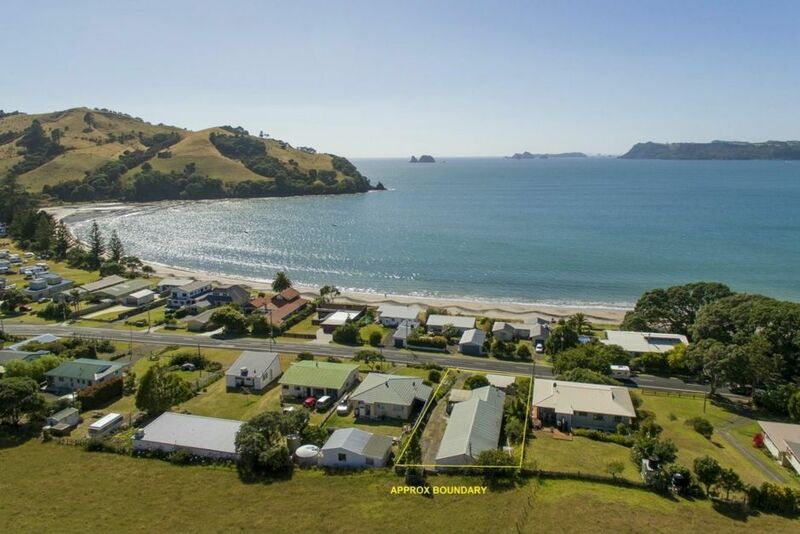 Just a 5 minute drive to the town of Whitianga. Fully furnished with all towels, linens, dishes etc. 2 main bedroom with queen beds, 1 large room with queen bed and 2 bunks. Plenty of room for a large family. Game room with ping pong table. Washer/Dryer use included. Side deck with awesome views of the bay. As the title suggests, fantastic beach views this home definitely has! As the title suggests, fantastic beach views this home definitely has! Waking up every morning to the panoramic view of the sea made our stay very special. Such a short walk to the beach and your swimming in one of Coromandels finest beaches. Home and section had plenty of room for the kids to run around and enjoy and many an afternoon were spent in the lovely outdoor area.